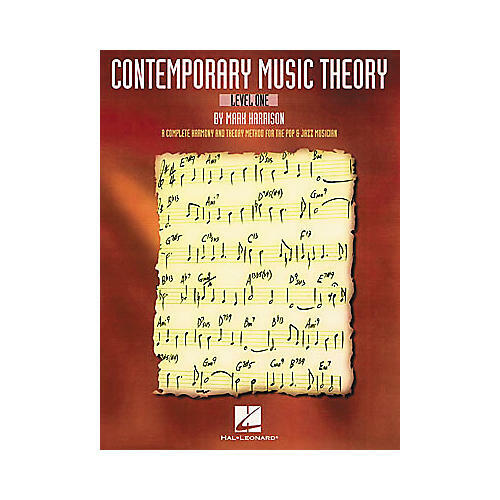 The Contemporary Music Theory series by Mark Harrison is designed from the ground-up to explain the terminology and musical structures needed for modern applications. Level One is an introductory course which covers music notation, key signatures, basic scales, intervals, modes, diatonic relationships and 3-and 4-part chords. Level Two is an intermediate-level course covering larger chord forms, definitive chords in major and minor keys, substitutions, analysis of key centers in tunes, upper structure chords, voiceleading, and pentatonic and blues scale applications. Both levels of the music theory lessons include reference appendices, a complete glossary of terms, and hundreds of written theory exercises with answers.